This 2019 Honda Civic Sedan LX is proudly offered by Kendall Honda Acura You can finally stop searching... You've found the one you've been looking for. This is about the time when you're saying it is too good to be true, and let us be the one's to tell you, it is absolutely true. Driven by many, but adored by more, the Honda Civic Sedan LX is a perfect addition to any home. The Honda Civic Sedan LX will provide you with everything you have always wanted in a car -- Quality, Reliability, and Character. Are you shopping for used cars from a reputable used car dealership in Eugene? You’ve come to the right place! Kendall Honda understands that not everyone is in the market for a new Honda car. That’s why our used car dealership not only offers new Honda cars, but a wide variety of used cars in Eugene as well. We make sure to provide our customers who are looking for many options when searching for your next used car for sale. Furthermore, in our selection of Honda used cars we have an inventory consisting of Certified Pre-Owned Honda cars. 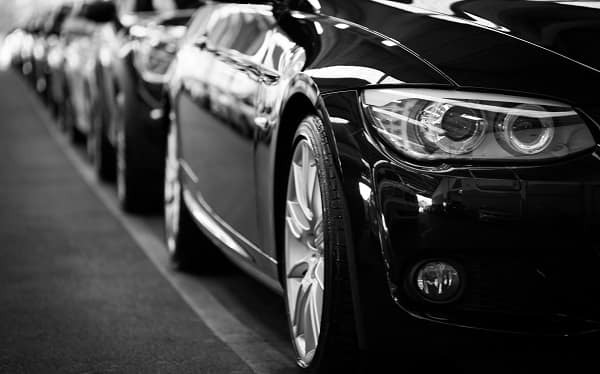 To ensure top quality, our Certified vehicles go through several tests and multiple-point inspections. Search for your used Honda in Eugene in our inventory and feel free to give us a call or contact us online if you have any questions. We look forward to the opportunity to help you find your next car when you visit Kendall Honda! We are conveniently located at 846 Goodpasture Island Rd. Eugene, Oregon 97401, just a short drive from Springfield, Florence, and Lebanon. While you’re at our used car dealership, have some fun and test drive a few different cars. Are you looking for something to pull your toy hauler or get that weekend project done but don’t want to pay new-car prices? Shop for used trucks in Eugene with Kendall Honda. We offer a wide variety of used trucks including the Honda Ridgeline and many other popular makes and models. Be sure to browse our inventory of used trucks because we’re sure to have something that fits your budget and needs. No matter if it’s a midsize truck for that little bit of extra space or a heavy-duty hauler you need for the big jobs, we’re sure to have something that catches your eye. If you’re looking for more interior space in your vehicle, Kendall Honda has a large selection of used SUVs for sale in Eugene. You can shop for the popular used Honda CR-V or something else from our large inventory of affordable used SUVs that suits you better. Not sure what size SUV is best for you? Let our friendly sales team help you browse our selection of compact SUVs, midsize SUVs, and full-size SUVs. No matter what you decide on, Kendall Honda has the used SUV you’re looking for to get you and your family where you need to be when you need to be there. While you’re here, be sure to visit our Honda Finance Center to learn how our financial experts can help you apply for a Eugene car loan as well as find out the trade-in value of your current used car.